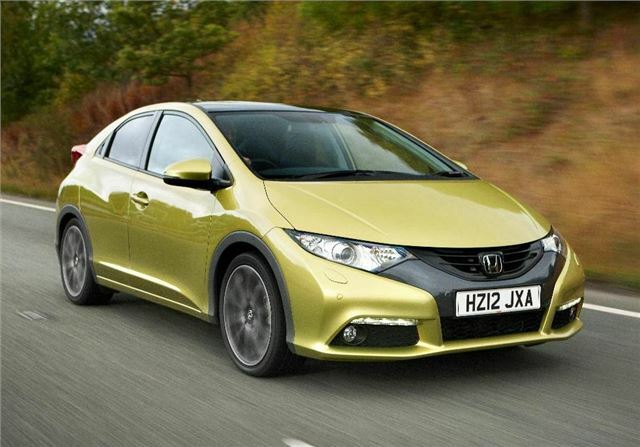 Honda has revealed the pricing and specification levels for the 2012 Honda Civic, which will be available from £16,495, rising to £26,595 for the top spec 2.2-litre i-DTEC EX GT. Order books are open now, with first deliveries in January 2012. Three engines will available – 1.4- and 1.8-litre i-VTEC petrols and a 2.2-litre i-DTEC diesel. All models get an ECON driving mode to save fuel, and manual models are fitted with a start/stop system. The smallest engine is only available in the base-spec model. All models come with a six-speed manual transmission as standard, but a five-speed automatic is available with the 1.8-litre petrol. There will be four trim levels available, SE, ES, EX and EX GT. Basic SE models start at £16,495 with the 1.4-litre engine and come with [img]http://www.honestjohn.co.uk/news/new-models/2011-09/honda-reveals-2012-civic-pricing-and-specs/#]alloy wheels[/url], automatic air conditioning, USB/ AUX connectivity. The article went on to mention that since Honda was introduced in the UK in 1972, this is the ninth generation Civic to be built there. honda engine codes and hp specs.